I've been blogging for a long time now, and I want to share some secrets with my fellow bloggers. For those who know me from groups, you know that I pay close attention to what I do, and I use data to see if it's working. Like you, I'm busy, and I just don't have the time to devote to things that don't work. I try not to change anything in my blog plan unless I can see with numbers that it's working or not working. 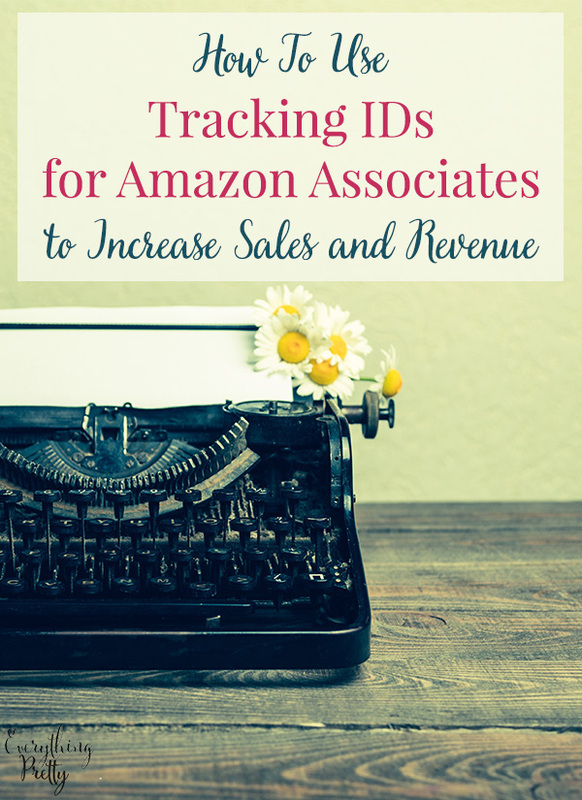 Keep reading to learn how to use tracking IDs for Amazon associates and how to use them. What is an Amazon Associates tracking ID? When you sign up for Amazon Associates to be an affiliate, you are assigned a referral ID. When you send traffic to Amazon using your referral ID, you make a small commission from sales. You can use your referral ID on social media, on your website, in a guest post, or even on multiple websites. Hopefully, after you've dropped a few links on websites, you'll start making some money. Let's say that you are linking on your social media, on a sidebar on your site, on your blog, and you contribute to another blog where you use affiliate links. How do you know which links are getting you clicks, and more importantly, which ones are converting into sales? That's when you need to learn how to use Tracking IDs for Amazon Associates. You can have several tracking IDs using the same account, which means all of your commissions are combined for one payment. Using tracking IDs and not using separate accounts means that all of your sales count towards your higher commission when you sell more items each month. The first thing you need to do is set up your tracking IDs. I have three of them: one for links within blog posts, one for the native shopping ads below blog posts, and one that I use when I post to social media. I combined all social media into one ID, but you could split it up and use different IDs for Facebook and Twitter. 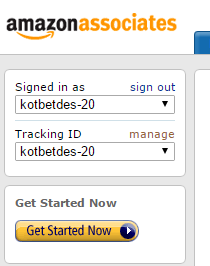 To create a tracking ID for Amazon Associates, log in to the Amazon Associates home page. On the left side of the page, you'll see that account that you're signed in as. I created my account before this blog came to be, so it's named after my other blog. Click on manage to create a new tracking ID. Then click on Add Tracking ID and enter the new tracking ID. You could do BlogNameFacebook, BlogNameGuestPosts, or whatever you want to keep track of them. I have my social ID for all social media links, links within blog posts, and native ads. I use the Amazon Stripe to get my referral links, so I just click on get short link. There's a drop down menu to select your tracking ID. Now that you've got your tracking IDs set up, it's time to see how they are working. Start at the Amazon Associates home page and click on Reports. You'll probably land on the Summary tab, so click on the Fees tab. Scroll down to see your Tracking ID summary. You'll see how many clicks and orders you received and how much money you made from each tracking ID. And now you know which links are making you the most money. One thing that I found very interesting is that one of my tracking IDs has quite a bit fewer clicks per month (about 1/100 as many clicks! ), yet the money earned per click is 10 times higher than my other two tracking IDs. I'm very curious to see if this trend continues as I track my stats even longer. Do you use tracking IDs for Amazon Affiliates?